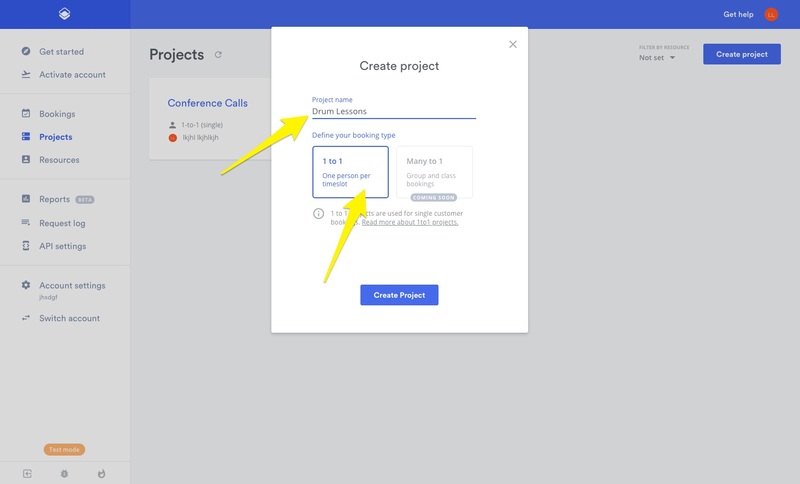 Learn how you set up your first project and how to to edit and update your project settings. In the sidebar, press on the 'Projects' link in your navigation. 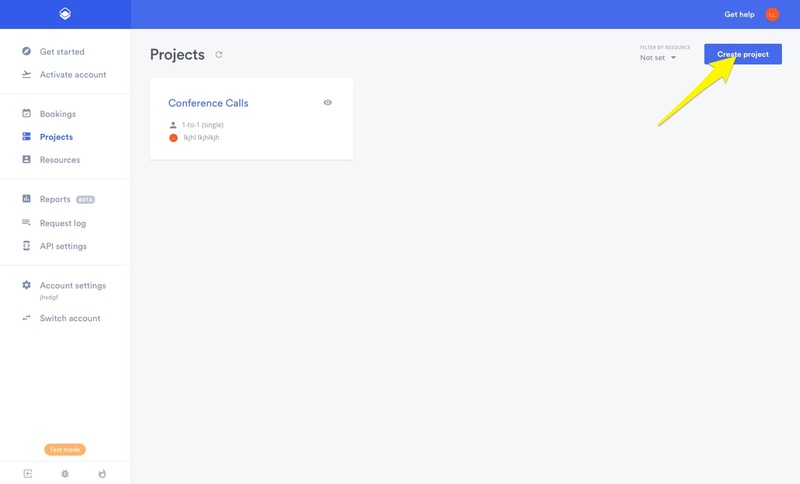 Create a new project via the link in the top right corner, or click on an existing project you want to edit and update. Give the project a relevant name and choose to either make your project a 1-to-1 booking type, or a many-to-1. The first meaning only 1 person can book a slot, the second multiple people per slot. Event info: Specify what you offer like the length or location. Bookable resources: The resources which can be booked through this project. Opening hours: Define the days/hours that can be booked. Confirmations: Automatic/manual confirmations can be controlled as well. 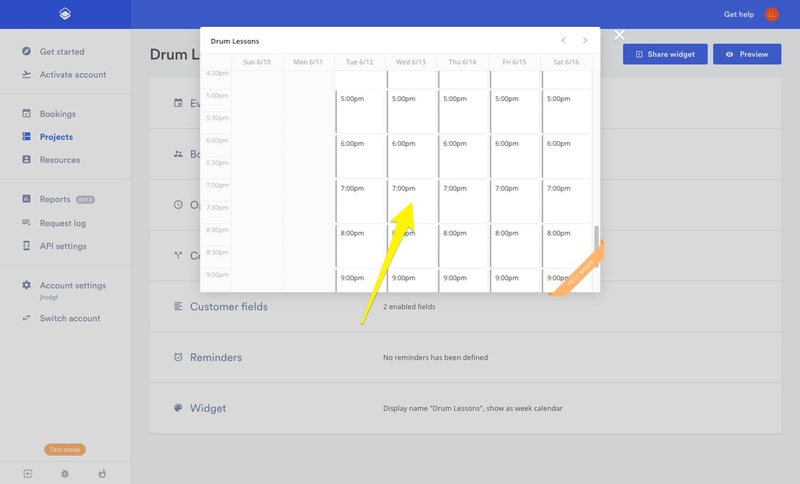 Customer fields: Specify extra inputs fields when booking a timeslot. Reminders: Help your customers remember appointments with reminders. Widget: Customize the appearance of your booking widget. You can share your projects widget easily through embeddable code or from a unique url hosted by Timekit. Open your share settings by pressing "Share widget". Choose a unique slug for your project. This creates a unique url for this projects widget that can be shared or linked to. 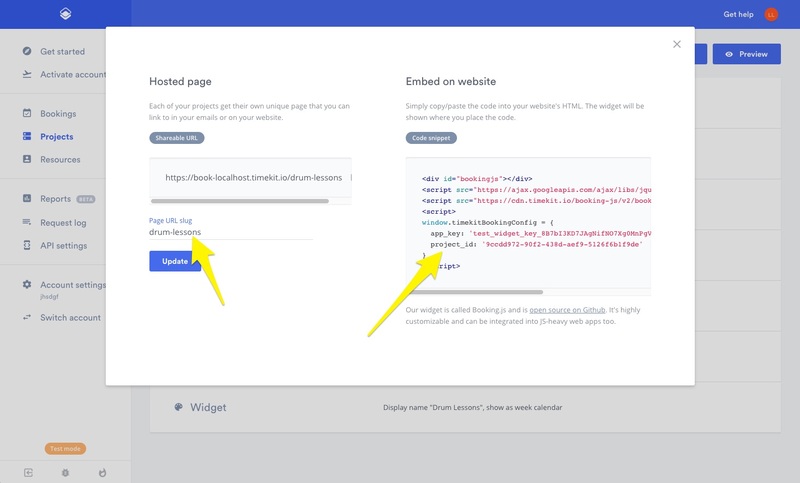 Copy/paste the embed code into your website's HTML. The project will then be shown where you place the code. 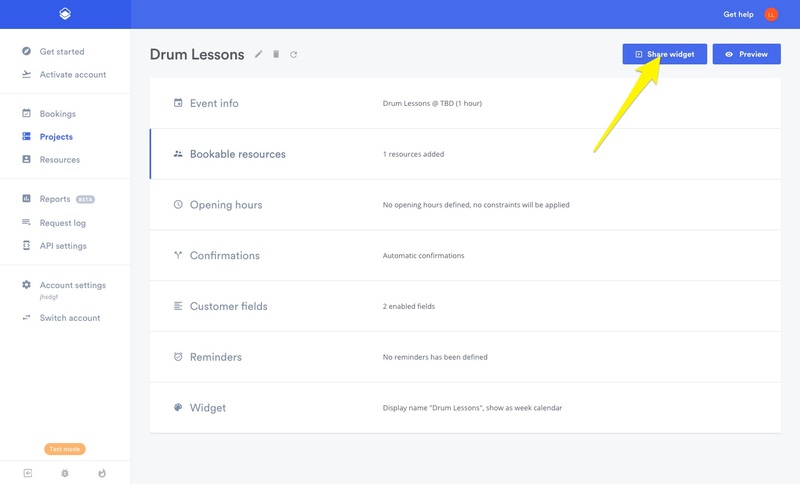 You can see exactly how the booking widget will appear and work by pressing the "Preview" button. You can play around with it, although we would recommend doing this in test mode. 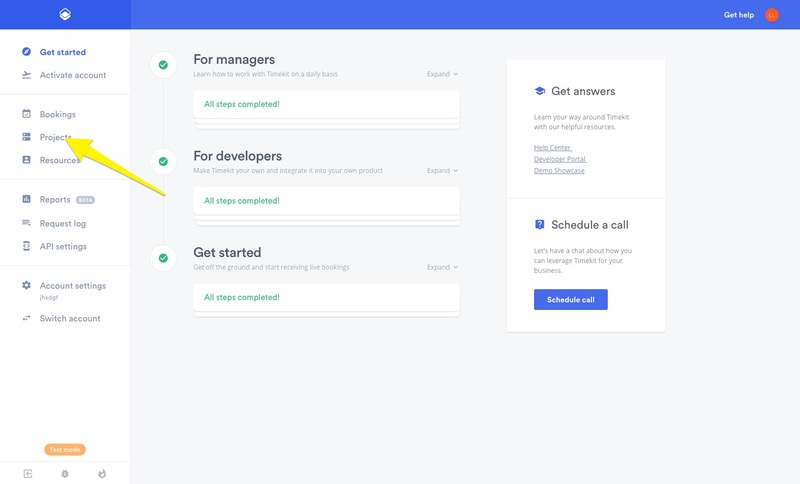 This is an actualy working version of the booking widget. This means you can book timeslots here for convenience or testing purposes. go on, give it a try! You are now done with setting up your project! Are you a developer? Good news, you can also create projects through our API. Check out our documentation on our Projects V2 API.